Discuss insightful viewpoints on design flexibility and adaptability from leading architects. Examine modular designs and multipurpose use for health-care facilities in action. Identify how interior glass solutions and sliding doors boost modularity and flexibility into health-care, hospitality, and commercial spaces. Recognize key integrated sustainable design benefits and best practices. As highly complex, function-specific spaces, today’s health-care, industrial, and commercial buildings must respond to multiple conflicting demands over time. These facilities therefore require a high level of flexibility to meet constantly evolving needs. “Buildings planned to accommodate change from the design stage up front will be most efficient, functional, and inspirational to workers, visitors, and building owners over their lifetime,” states Sheryl Hai-Ami, administration officer, The Sliding Door Company, Westlake Village, California. 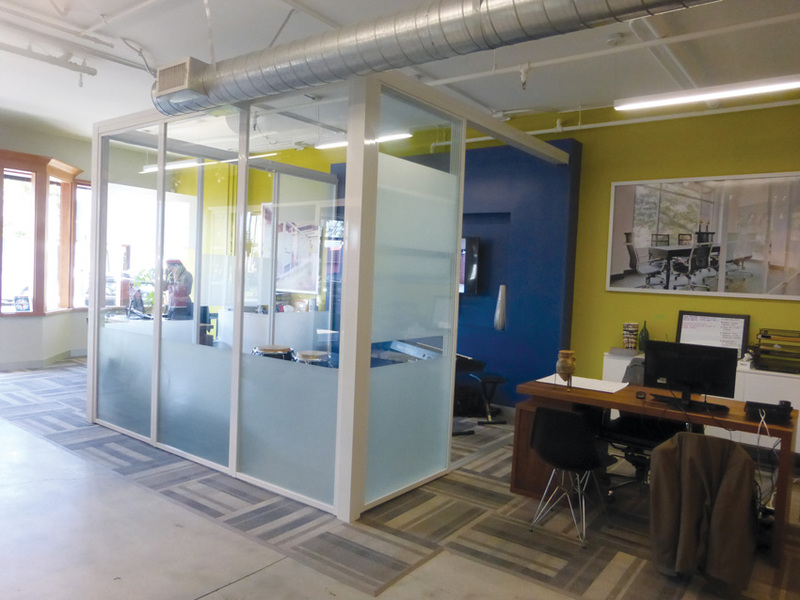 Glass interior wall partitions help support flexibility and adaptability for today’s commercial facilities. Consequently, building owners should think long and hard before building with traditional studs and drywall and designing highly specialized programmed spaces, cautions Karen Thomas, CID, LEED AP BD+C, principal, LPA Inc., Irvine, California. While initial build-out costs may be less, such short-sighted design decisions will likely lead to more costly remodels down the line when program requirements and work processes inevitably change. Offering some historic perspective, Suzanne Blair, associate principal, workplace studio leader, SERA Architects, Portland, observes that the primary needs and tools in her firm’s architectural offices are dramatically different from what they were just five to 10 years ago. “Accommodating future needs of the users, as well as the future growth and delivery model of the company are difficult tasks but should be considered from the start of every workplace project,” she says. To support this essential level of adaptability, design solutions like interior glass doors, sliders, swing doors, barn doors, and stacking room dividers enable buildings to quickly and inexpensively adapt to rapidly changing facility needs and functions. Glass enclosures such as this one can be moved in a quick and inexpensive manner to support changing facility needs and functions. For example, dividing an open space into smaller, private rooms is an easy retrofit. Or even more effective, proactively designing the floorplate with various glass partitions lends much flexibility to shifting space utilization and function. Supporting such flexible, functional space requirements is particularly essential for today’s health-care facilities. Whereas the typical doctors’ office of the early 1990s consisted of a small waiting area with a couple exam rooms and doctor’s offices, today’s outpatient facilities are much more robust operations with physicians from various specialties, social workers, dieticians, pharmacists, etc. making up a larger, integrated team. Primarily, these health-care spaces have evolved into open-plan, module-based layouts where team members may need to gather to discuss a patient’s situation, break up to do some individual work, and then huddle once again. “To support this kind of extensive collaboration, health-care designers need to infuse a diverse types of spaces into health-care environments,” he says. Touchdown spaces: places where staff can sit for a few moments to jot something down, review notes, or look at a chart. True open-office environments: open spaces where teams and individuals can connect, huddle, and collaborate. Consult rooms: more traditional rooms where folks can connect for quiet, private meetings with patients.